J.E.B.Taxis was established in 1997 and has developed a great reputation for providing prompt and reliable taxi services. 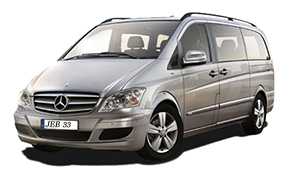 We cover areas around Helmsley and Thirsk, tailoring our taxi services to suit the individual needs of our clients. Whether you're looking for an airport transfer, a courier service or just a lift into town you can rely on us to get you where you need to be on time. Our drivers are recognised for their courteous manner and our luxury fleet of vehicles provide a comfortable mode of transport, meaning you can sit back, relax and enjoy your journey. For more information on our range of taxi services why not give us a call today? We will be only too willing to be of service. We're experts when it comes to getting around North Yorkshire and with our range of vehicles we can get you where you need to be, on time, every time. Looking for accomodation in the Thirsk area then check out our Cottage Garden Room here. This website and its content is copyright of Jeb Taxis © Jeb Taxis 2014 - 2019. All rights reserved. Any redistribution or reproduction of part or all of the contents in any form is prohibited without prior permission of the copyright holder.